In the one long year Evelyn’s been on this earth, our little girl has gotten 18 flights under her belt. 18! Not bad for a baby. The girl’s flown more than I had by the time I was 20! So needless to say, we’ve gotten quite a bit of practice with finding out what works best in terms of a routine, packing, and getting from A to B the most stress-free way possible. Evelyn took her first flight at 4 weeks old. And I promise you, I was freaked out of my mind, just like you probably are if you’re reading this with your baby’s first flight coming up. I am a total control freak, so I read everything I could find on the internet to help me mentally prepare myself. We spent the entire day before our trip packing, layout out all of our gear, and practicing how we would load and unload everything at the airport. And then the day came and it was pretty anticlimactic. Evelyn slept pretty much all the way through both flights. She didn’t cry because her ears hurt. She seemed to like being snuggled in the ErgoBaby. All that stress was (mostly) for nothing. Now that’s not to say we haven’t had a few “oh sh*t” moments. Like the time Evelyn puked on Matt and I had to crawl over my seatmate to get her puke-covered pj’s off. Or the time Evelyn just WOULD NOT SLEEP, screaming for what felt like an eternity during a descent into Omaha. Or that time our flight was delayed, so we had to run between terminals at Phoenix’s Sky Harbor Airport with Evelyn sleeping in my arms, barely making it in time to board our connecting flight. Ah, travel. So fun. And so unpredictable. So let’s not kid ourselves, even though it’s not the worst thing in the world, flying with a baby is still uncomfortable. I liken it to eating out with kids; you’re always on edge trying to keep everyone happy, that you can’t truly sit and enjoy your meal. It’ll be a LONG time before I can actually go back to the point of being relaxed on an airplane. But even with the extra stress, it’s so worth it. I would gladly take those few hours of discomfort for a day at the beach or a walk through Central Park. So with that, I’ve been compiling a list of EVERYTHING I’ve learned along the way that’s helped make the process a little easier for us. And now that we’ve covered a variety of ages and situations in traveling with Evelyn, I want to share that list with you! Disclaimer: This post contains affiliate links to products we love and recommend. If you purchase anything through these links, we may receive a small commission (at no additional cost to you!) Thanks for supporting the blog this way! – Fly early in the day! I can’t stress this enough. We have tried numerous flight patterns and times, and without a doubt, if we don’t have Evelyn on the ground by 7 pm, you can almost bet she’ll go into a meltdown. I’d much prefer to wake her from her crib at 5 am, let her sleep in the car on the way to the airport, keep her up a couple hours until we’re on the plane, and then let her fall back to sleep for a few hours while we’re in the air. You have to know your own baby to know what will work best for you, but I think in general, the earlier the better. – Consider upgrading to economy plus for extra legroom. If you’re flying with an airline that offers this (like United’s Economy Plus), check into the price to see if it’s worth it to you. For our usual short 1-2 hour flights, I probably wouldn’t swing for it, but if you’re traveling 3-4 hours? It definitely might be worth the extra $25. – Make sure baby is on your itinerary as “infant in arms”. You’ll have to call the airline after booking your ticket to have them add this manually. We haven’t figured out a way to do this while booking online via Southwest, so if there’s some trick out there that we’re not aware of, please let me know! – Check if your baby needs a separate ticket. Some airlines require a separate boarding document instead of simply listing an infant on mom or dad’s ticket. You should be able to print this at home along with your other tickets (or get a copy when you check-in). – Consider investing in TSA Pre-Check. Especially if you or your spouse flies a lot for work. Matt, Evelyn and I can all go through the Pre-Check line together as long as we are booked on the same itinerary, so it’s really not necessary for both of us to have it. Having this perk not only allows you to shorten your wait time at security significantly, but you’ll have some advantages like keeping small liquids and laptops in your bag and not having to take your shoes off. Hamming it up in the San Jose airport. – Pack light. I personally would never check more than one large suitcase for the 3 of us (and even then, it pains me to have to do it). We already have enough stuff to lug around and fit into an Uber between our suitcase, stroller, carseat, and pack and play…we don’t need to add to it with a bunch of extra luggage. – Liquids and the 3-1-1. Keep any toiletry size liquids together in a separate Ziploc bag that can be easily taken out at security. Baby-specific liquids like breast milk or water in a bottle do NOT need to follow the 3 oz rule, but you will need to take them out of your carry on bag for an extra screening. Ice packs, however, do not need to be taken out as long as they are still frozen. – Don’t forget a birth certificate. Not all airlines require one, but Southwest specifically will not let you check in without a document that confirms the age of your lap baby. Keep this safe in your bag just in case (along with any prescriptions or medical documents, if applicable). – Keep your travel wardrobe simple. I usually wear a t-shirt layered with a light sweater, jeans, and flats. I carry an extra t-shirt in my carry on just in case I get spit up on. Go without a coat if you can manage and pack it in your suitcase instead; it’s one less thing to carry around. RELATED: How to Fly to Europe for Cheap! Always so much to see on the airplane! – Always check-in online (you do this anyway, right?? ), so all you have to do at the airport is check your luggage. – Use the curbside baggage check if you can. You’ve checked in online already, so there’s no need to wait at the ticket counter if you don’t have to. But, for us, those first few minutes unloading are usually pretty awkward. Between getting Evelyn out of the car seat and into the ErgoBaby, and then packing up the car seat to be checked, along with wrangling all of our other stuff, I’m never quite prepared to hop right out of the car and hand all of our stuff away. Someday maybe we’ll get there. But if you can manage, it’ll save you time and your back from having to lug all your stuff all inside. Option a) Check your suitcase, pack and play and car seat at the ticket counter, but bring your stroller through to the gate. You’ll have to put the stroller through the x-ray machine at security, which is a hassle, but then you’ll have the stroller to wheel baby around in in the airport, and also double as a small luggage rack. 🙂 The gate attendant will gate check your stroller for free before boarding (be sure to ask for a gate ticket in advance to avoid a delay). In this scenario you may or may not want to bring a baby carrier (such as the Ergo), since you can just carry baby on your hip through security. Option b) Check everything from the stroller to the car seat, pack and play and luggage at the ticket counter. ALL OF IT! This is my preferred method. It’s less stuff we have to carry through the airport and really does make security a breeze. Evelyn prefers the ErgoBaby to the stroller anyway, so we find it’s easier to keep her in there throughout the whole process (from check-in until we’re at the gate waiting). I do usually carry an extra small blanket draped over my baby bag with me so she can sit on the floor at the gate while we wait for our plane. – Which option’s better for avoiding lost luggage? Neither apparently. I’ve read that if you gate check a stroller or car seat, baggage handlers will sometimes confuse these items for regular checked luggage, tossing it out to be routed to your next plane. But when they discover it’s not ACTUALLY a checked piece of luggage and there’s no tag, they have no idea where it goes. VOILA, you have a lost stroller! On the other hand, I’ve heard other people say you should ABSOLUTELY NOT check your stroller or car seat because you risk it getting lost, and that you have more control over it if you gate check. Maybe so. Either way, you can’t protect yourself 100%, so go with what’s more comfortable for you and baby. You’ve made it this far and you’re almost through the worst of it. Stay strong! – Despite what the TSA’s website says, I’ve never been asked to remove Evelyn from her carrier to go through the metal detector at security. I always ask, because I know that’s the rule, but have been consistently told by TSA agents that she can stay in (which makes the process all go so much smoother, so I don’t question it). Be prepared that you might have to, but don’t automatically assume you must unless you’re told. – Wear shoes you can easily slip on and off. Because it’s not exactly easy to bend over and tie your shoes when you’re wearing a baby on your chest. If you’re using TSA Pre-Check, then even better, the shoes can stay on! – Take your bottle/breast milk out of your carry-on for testing. I touched on this already, but to speed up the screening process, go ahead and take these out right away and put them in a separate bin, so security doesn’t have to go rummaging through your bag looking for them (whoops, guilty!). You’ve made it to the gate…now time to hurry up and wait! – If you need to warm breast milk, bring an insulated mug that your bottle can fit inside. Ask the nearest coffee place to fill it halfway with hot water – instant bottle warmer! Most baristas will be glad to help once they understand what it’s for. – The worst part of plane travel with babies (or kids in general) really is all the waiting. Once you’re at the gate, it’s time to go into full distraction mode. Make sure you have enough different toys, snacks, and (if appropriate) videos stashed on your phone to keep baby happy and engaged. – Do one last diaper change before boarding. And don’t wait in line for the bathroom. Most airports now have a designated “mother’s room”, but it might be hidden inside the women’s bathroom, so you may have to do some snooping. – If you have assigned seating, wait until the very last moment to board the plane. Although it’s no fun waiting in an airport, it’s 10x worse to be waiting on a plane. Sure you could use the family boarding, but what’s the point? Once your baby is starting to get mobile, the cramped airplane seat will drive them nuts. You don’t want to be on the plane any longer than you need to be. Now, this is not to say you should go off and get a coffee until you hear the final call. Be ready to go, right at the gate, where the attendant can see you. – If flying Southwest, use the family boarding. This takes place right after the “A’s” and will basically guarantee that you and your spouse will get a seat together. – Be friendly. While waiting in the gate area and as you walk down the aisle to find your seat, smile and show everyone how CUTE your baby is. 🙂 It will help you get more empathy later if you need it. – Take a window seat for the most space and privacy. I by far prefer a window to an aisle with a baby. You have a little bit of a buffer if they get wiggly and you can pull up the window shade for an easy “peek out of the window” distraction. Baby can also easily sleep in your arms without having to worry about their hanging their feet into the aisle or getting bumped by the drink cart. Some will say that an aisle seat is better, because you can easily escape in case you need to walk the aisle or change a diaper in the restroom. Maybe that’s true on longer haul flights, but personally, I don’t feel those advantages outweigh giving up the extra space. – If flying Southwest with a partner, try to snag a whole row. Although this is becoming less and less of an option (with flights nearly always being oversold these days), it’s worth a shot. Start by asking the flight attendant if you’re on a full flight. If there are several open seats, head for the back of the plane with you and baby on the window and your spouse on the aisle. Chances are, your middle will be left open (seriously, who wants a middle seat in the back of the plane next to a baby) and you’ll have more room to spread out. If someone does come foil your plan, your spouse can just slide over to the middle. The flight attendants will even nonchalantly try help you with your cause, so don’t worry about being “sneaky”. They see it all the time and would prefer to give you that empty seat if they have a choice. – Once settled in, take your baby out of the carrier. You aren’t allowed to “wear” them during take-off or landing, but you can during the flight (no idea where that logic comes from). – Unload your essentials into the seat back pocket. You’ll want to have all distractions ready at close reach. Bottle, snacks, a few small toys. Have them ready to go so you aren’t fumbling through your bag when you need them most. – Ask the flight attendant for a small bottle of water if needed. And right away when you board, no need to wait for the drink cart. – But, hold onto your bottle as long as you can. I never realized just how much time was spent boarding and taxiing until I flew with a baby. It is true, what they say, that giving a bottle during take-off can help baby’s ears adjust to the pressure changes. So if they are content for the moment, wait to give them a bottle until you a cleared for take-off. That said, I would never hold off Evelyn so long that it upsets her. A hungry baby is far worse than a baby with hurting ears. Anything can be a toy if you try hard enough. – Tether small toys to your wrist so they can’t be dropped and be prepared to alternate between them frequently. Now’s not the time for teaching patience. Break all the rules! Eat lots of snacks. Watch TV. Rip the pages out of the in-flight magazines. Bash together a couple bags of peanuts for an hour. Whatever keeps baby occupied and happy. – Have your phone stocked with baby videos or games. This obviously doesn’t apply to little bitty babies, but by about 7 or 8 months, Evelyn was already mesmerized by the iPhone (I know, I know). While we don’t normally let her watch videos on the phone, it sure keeps her content on a plane. And Little Einsteins is SORT OF educational, RIGHT? – Scope out the bathrooms. Some planes have changing tables in every bathroom. Some only have them in the front or the back. And some really small planes don’t have them at all. Ask a flight attendant beforehand so you can prepare your game plan. In a pinch, changing a diaper in your seat really isn’t so bad (and can actually be easier for small babies). – And finally, don’t use the water! Don’t use it for rinsing a bottle or paci and definitely don’t use it for drinking. I never realized how bacteria-infested airplane bathroom water was until one flight attendant nearly went into a panic when she thought Matt was going to rinse Evelyn’s bottle in the lavatory. Flight attendants will be more than happy to give you lots and lots of bottled water for rinsing, or you can use these Dr. Brown’s wipes to clean bottles or anything else that hits the floor. Staying abreast on the latest safety information. Honestly, I believe most of the anxiety that comes with flying with a baby (mine, anyway) is the fear of the unknown. Flying is a weird, unnatural thing that most adults hate, so it’s no wonder it stresses our babies too! But being armed with knowledge, you can be free to breeze through your next flight without worry, enjoying the real reason you got on that plane in the first place: your trip! 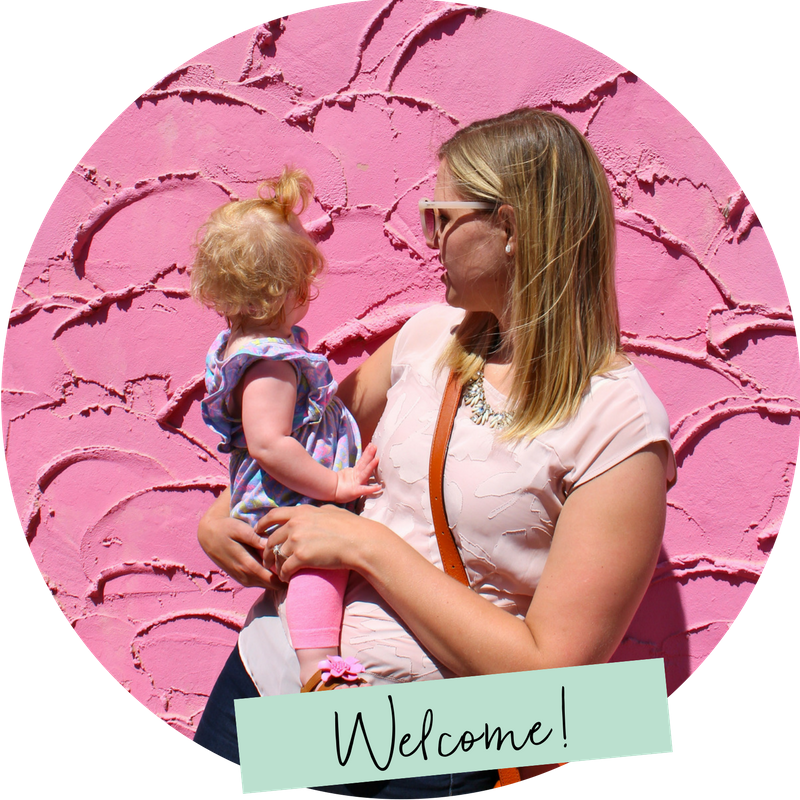 So the title of this post might have been a little presumptuous of me…of course I don’t know EVERYTHING there is to know about flying with a baby. I’d love to hear if you have any lingering questions or tips I missed! Let me know in the comments below!